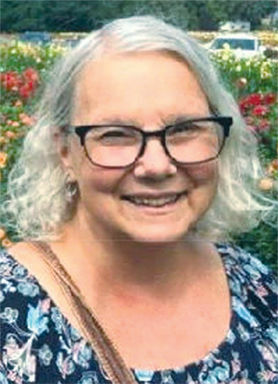 Elaine Marie Strite Kiefer, of Seaside, Oregon, passed away on Wednesday, March 13, 2019, in Portland, Oregon. She was born on July 9, 1957, in Portland, to Don and Marion Grothe. Elaine grew up in Portland and graduated from Concordia High School. She attended the University of Portland and earned a degree in education. She spent the majority of her career at Seaside Heights Elementary School. Elaine was a devoted, caring and loving teacher. Every one of her students was valued and respected. She loved each child unconditionally. Elaine married Bill Strite on Jan. 9, 1982, in Portland. They remained married until Bill’s passing in March 2006. Through a family member, Elaine became reacquainted with Pete Kiefer, a classmate from elementary school. Pete and Elaine were married in August 2015. Elaine and Bill had two children, Sara and Donny. Above all else, Elaine loved being a mom. She cherished the time she spent with her children. She always supported Sara and her passion to dance, and Donny and his love of basketball. In August 2014, Elaine became a grandma to Wesley, and three years later her second grandson, Will, was born. Elaine’s grandchildren were the light of her life. Family and friends will never forget Elaine’s sparkle and smile. Elaine found, and appreciated, the best in everyone. She went out of her way to make people happy, and if she could add a touch of glitter along the way … she did. Elaine was preceded in death by her first husband, Bill (2006); her son, Donny (2009); and her mother and father, Marion and Don Grothe. Elaine is survived by her husband, Pete, of Portland, Oregon; her daughter, Sara Weber, son-in-law, Mike, and grandsons, Wesley and William, of Warrenton, Oregon; her sister, Anne Grothe, of Portland, Oregon; her brother, Don (Carole) Grothe, of Portland; her sister, Mary Grothe, of Texas; as well as nieces, nephews and cousins. Elaine is also survived by three stepchildren, Jessie (Oli) Kiefer-Layman, of Detroit, Oregon, Natalie Kiefer, of Portland, and Paul (Erin Gilbert) Kiefer, of Portland. A memorial service will be held at Our Saviour’s Lutheran Church, 320 First Ave., Seaside, Oregon, at 11 a.m. on Saturday, March 30, 2019. Following the service, a reception will be held in the church fellowship hall. In lieu of flowers, the family requests memorial donations be made to the Donny Strite Memorial Scholarship Fund, in care of Seaside High School, 1901 N. Holladay Drive, Seaside, OR., 97138. Funeral arrangements are being handled by Crown Memorial Mortuary of Portland, Oregon. Elaine: Your obituary was written perfectly! I don't think you could have improved on it one bit. Everyone has alsways said your warmth and smile and positive outlook is most admirable and ministered to all of us here on earth while we had you here! What an example of God's love and embrace you have been to all who encountered you. We will miss you here for sure, but so glad and thankful we will be together in eternity! I have been most privileged to have married into your family and called you cousin for many years! Love and sympathy to Pete and the rest of the precious family!